I recently began a playthrough of the original Paper Mario on the Wii U’s Virtual Console, and I’m loving every minute of my revisiting of it. Paper Mario was, of course, the last great Nintendo 64 title, being released months before the GameCube’s launch. In many ways, Paper Mario remains the most timeless of N64 games. I know many would consider that statement an act of video game blasphemy, considering the N64 housed both Super Mario 64 and The Legend of Zelda: Ocarina of Time. But with all due respect to those classics (which are two other members of the small club of N64 games that have aged well), they both still look like they were from the early days of 3D gaming, whereas Paper Mario’s unique art style and blending of 2D and 3D gameplay perspectives have ensured it a timeless quality unique unto itself. 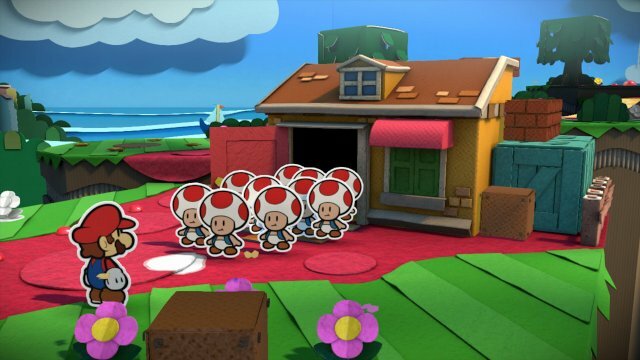 It’s not just the visuals that stand out in Paper Mario though. The game’s true genius that continues to endure is how it takes the RPG genre and makes it far more accessible to those unfamiliar to RPGs, while not sacrificing any of the depth of the genre. As I played through the game’s first chapter, I was taken back to the days of the N64, when seemingly every Nintendo Power issue promised a N64 sequel to Super Mario RPG in its previews sections. I remember at first it was simply titled “Super Mario RPG 2” and featured characters who looked like they were SNES sprites in N64 environments, which I thought was cool, since I hadn’t really seen anything like that (only Parappa the Rapper came close). Some time later it was renamed “Mario RPG 64” and “Super Mario Adventure.” This game had a long production history, as I remember seeing some early screenshots here and there for years before the game finally saw release at the end of the N64’s lifecycle. I remember I couldn’t wait for new information about this game, but for years I rarely ever seemed to get new info (I was young, and the internet was still pretty young itself, Nintendo Power was all I had). I have a lot of history with the original Super Mario RPG, it was the first RPG I ever played (and despite my love of Paper Mario, Secret of Mana, and others, it remains my favorite). 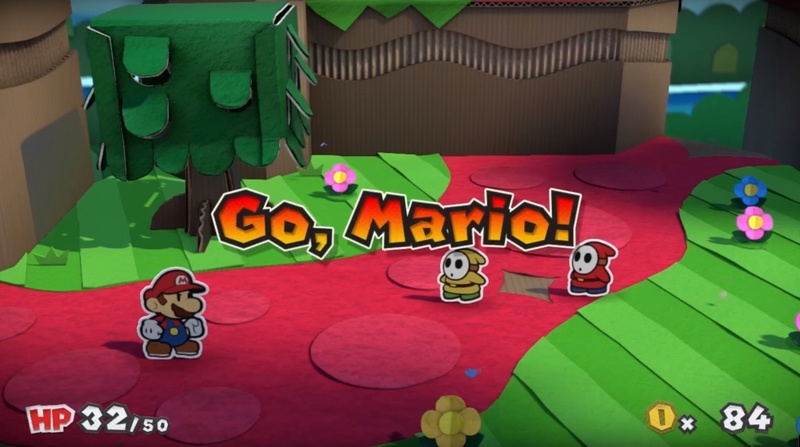 Although it became obvious at some point that this new Mario RPG wouldn’t have any direct connection to the original, I honestly didn’t mind. It was a different time for Nintendo. Most new entries in their series seemed to be starting fresh, as opposed to direct sequels. So this was the closest I was going to get to a Super Mario RPG 2. So any new information I could scrounge up was like finding buried treasure. It was awesome! 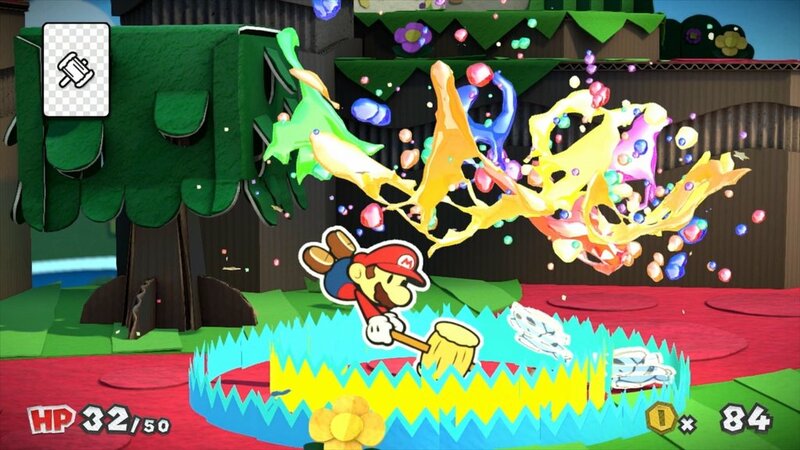 The officially-titled Paper Mario would finally get some new life around the time most Nintendo fans were gearing up for the GameCube. Perhaps not the best timing, but I didn’t care. I was excited for the GameCube, sure. But Luigi’s Mansion, Super Smash Bros. Melee and a little oddity called Pikmin were lucky they were released near the end of 2001. Because for me, the first half of that gaming year was all about Paper Mario. 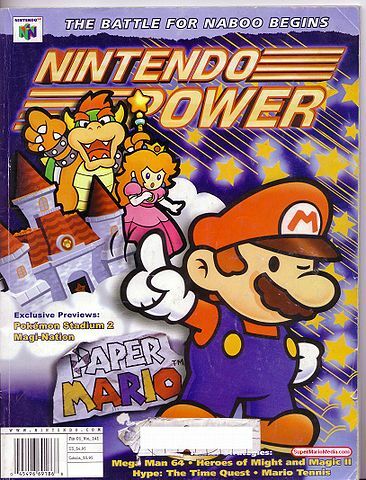 I remember how excited I was when I received issue 141 of Nintendo Power, and it had Paper Mario on the cover! I poured over that issue (more accurately, the article on Paper Mario) countless times. I was eleven-years old at the time, and my brilliant little adolescent mind was completely absorbed with this Paper Mario. I would even end up ordering the soundtrack from Nintendo Power (it still sits proudly among my favorite CDs)! To finally have my hands on so much information on this elusive game was a thing of beauty. I simply couldn’t get enough of it! I remember when the game was finally released, it completely lived up to my expectations. I know you’re probably wondering how much expectations an eleven-year old could have, but I had a ton of them! Paper Mario was a blast and, at the time, I may have called it my favorite game ever (I can’t quite go that far now, since there are some classics that shine a little brighter and even a few modern titles that take some of that cake). It was wonderful. 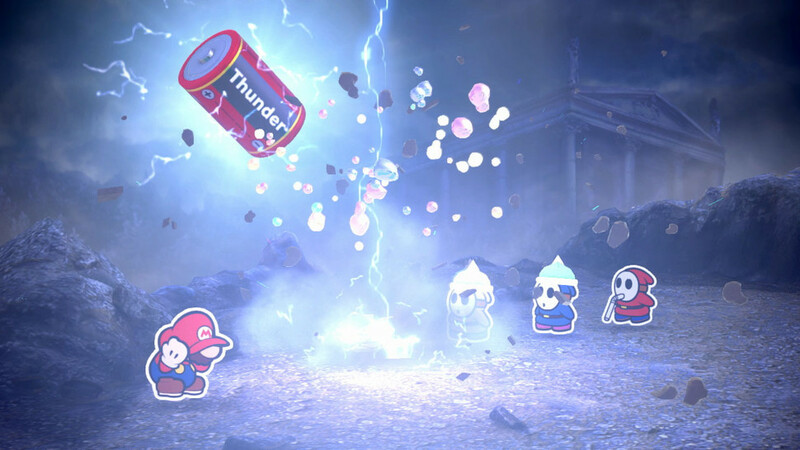 Its sequel, Paper Mario: The Thousand-Year Door would hit the GameCube three years later. 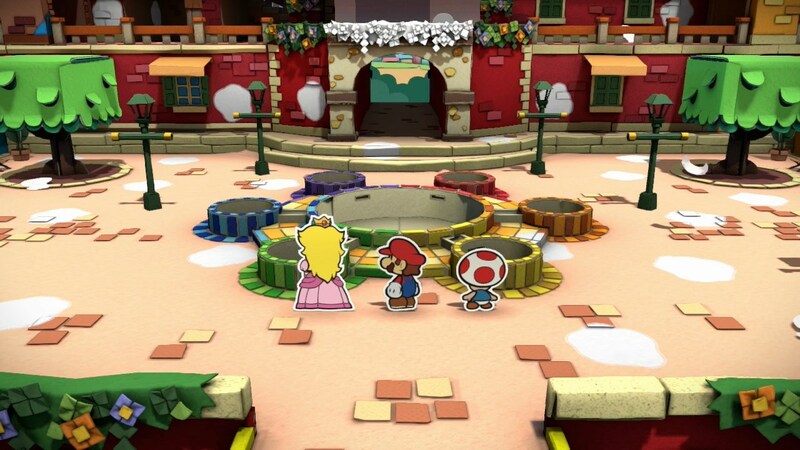 I remember being really hyped for a sequel to Paper Mario, but somehow my hype just wasn’t quite the same (perhaps I was getting older and less enthused about things, or maybe it had something to do with the fact that each Mario RPG before it was unique unto themselves, so a direct sequel at that point wasn’t as surprising). Most seem to think The Thousand-Year Door is the better game, and I can understand such claims. The story is heftier, the writing has more personality, and there were even some fun tweaks to the battle system. 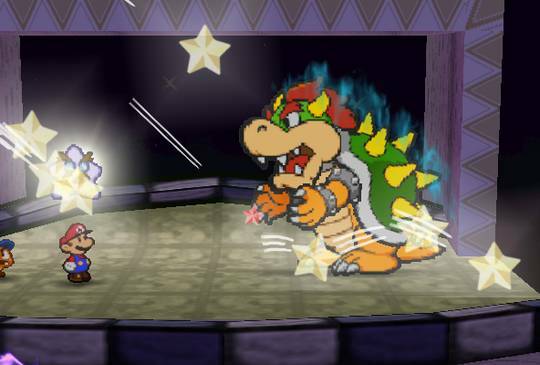 But for one reason or another, the original Paper Mario always stuck with me more. I like that it was – more so than any other Mario RPG – a Mario RPG. 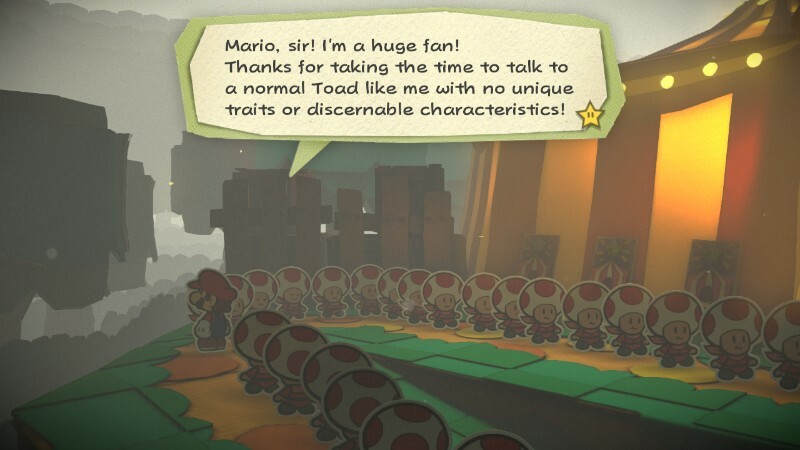 By that I mean it is the most literal translation of Mario into the RPG genre. Super Mario RPG is more akin to Mario meets Final Fantasy, the Mario & Luigi games are something of a self-parody, and the Paper Mario sequels would, understandably, take the series in new directions. 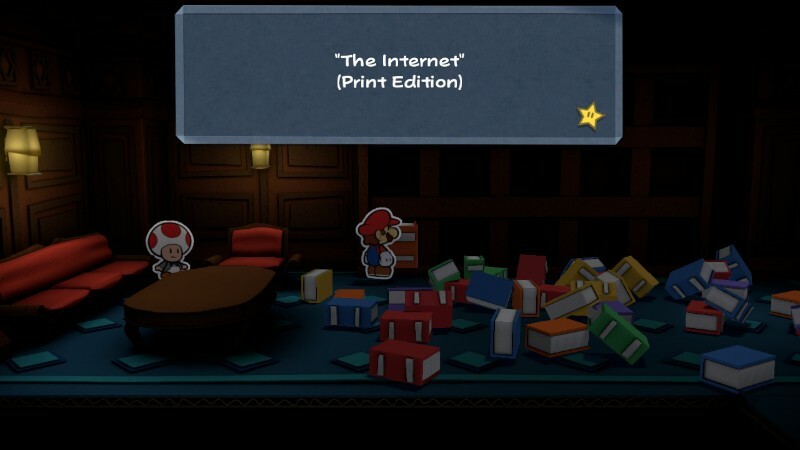 But the original Paper Mario is Mario thrown into a role-playing game, pure and simple. Bowser is the bad guy, the adventure spans across the Mushroom Kingdom and familiar environments (fire, ice, tropical island, etc. 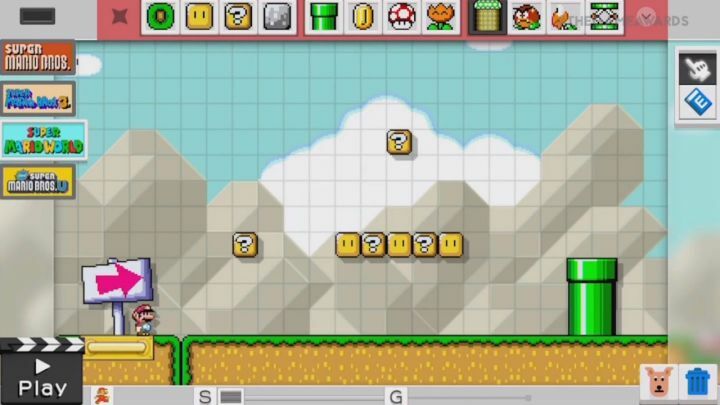 ), Mario’s allies could be summed up as a Goomba, a Koopa Troopa, a Bob-omb, and so on. I adore its simplicity and directness. 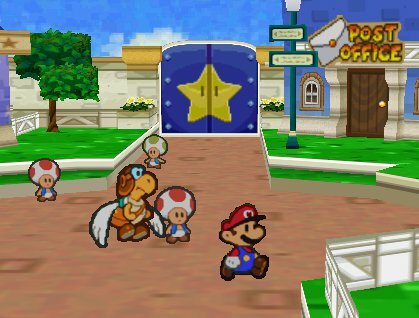 A hefty fourteen years have passed since Paper Mario’s original release, and although I’ve replayed it on the N64 and Wii in the past, playing it again on the Wii U still takes me back to those early days. I may not quite see it as the “best game ever” anymore, but it’s still a landmark title in my gaming life, and it remains a personal favorite. Once I finish my current playthrough I’ll write a full-on review for the game. But for now, I’m just relishing the memories, and enjoying how well Paper Mario holds up.